Siemerling, Winfried. "Lawrence Hill". The Canadian Encyclopedia, 19 February 2019, Historica Canada. https://www.thecanadianencyclopedia.ca/en/article/lawrence-hill. Accessed 21 April 2019. 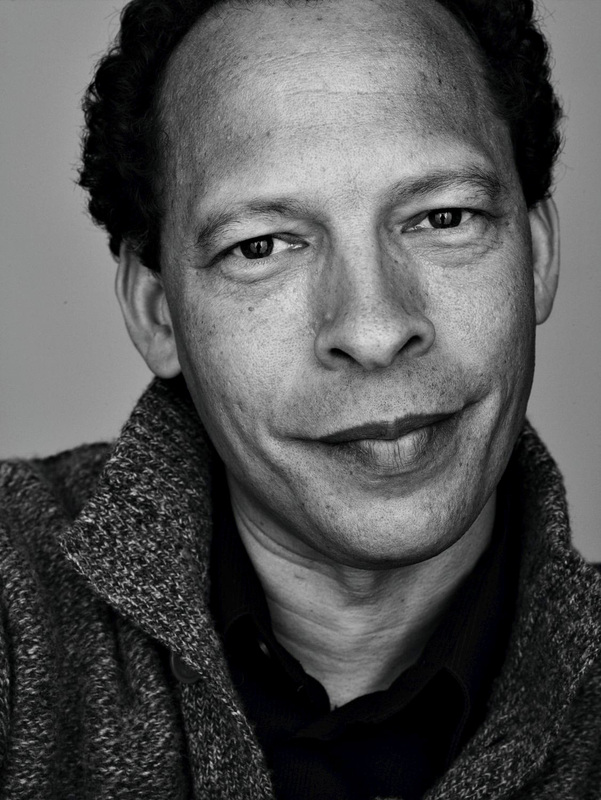 Lawrence Hill, CM, novelist, journalist, educator, documentary writer (born 1957 in Newmarket, ON). Lawrence Hill is one of the most important contributors to Black culture in Canada, and the publication of his internationally acclaimed novel The Book of Negroes (2007) has placed him among Canada's most successful writers. He is a Member of the Order of Canada. Lawrence Hill grew up in Don Mills, Ontario (now northeast Toronto), before earning a bachelor's degree in economics from Université Laval in Québec City and a master's degree in writing from Johns Hopkins University. He is the son of a mixed marriage between American immigrants (his father was African American, his mother white). His father, Daniel Grafton Hill, was the first director of the Ontario Human Rights Commission and the author of The Freedom Seekers: Blacks in Early Canada (1981). His mother, Donna M. Hill, was a human rights activist with the Toronto Labour Committee for Human Rights in the early 1950s. Donna played an important role in promoting the adoption of anti-discrimination laws by the Ontario government, and is the author of A Black Man’s Toronto, 1914–1980: The Reminiscences of Harry Gairey (1980). Donna and Daniel co-founded the Ontario Black History Society in 1978. Lawrence’s brother, Dan Hill, is a highly successful singer and songwriter, and his sister, Karen Hill, was an accomplished poet who died in 2014. Lawrence Hill's novels tend to operate at the intersection of fiction and history. In his first novel, Some Great Thing (1992), protagonist Mahatma Grafton, a Black reporter (named for both Gandhi and Hill’s father), returns to his native Winnipeg, where he encounters the issue of French–language rights, conservative newspaper politics, and issues of poverty, discrimination and race. Grafton also examines his relationship with his father, an insistent champion of Black history and identity. Social satire and an outside perspective on Canada are provided by a reporter from Cameroon — who reappears in Hill's second novel, Any Known Blood (1997). The title of Any Known Blood heralds the theme of multiracialism that is also sounded by the protagonist's name, Langston Cane V, which evokes Harlem Renaissance commentary on the topic of mixed race by authors Langston Hughes and Jean Toomer, author of Cane. Opening with the theme of “passing” (being perceived by others as being of a race other than one’s own, or as racially neutral), Any Known Blood explores racial identification through a plot of travel and research into family history across several generations and the Canada-US border, leading eventually to American abolitionist radical John Brown's raid on the federal arsenal at Harpers Ferry, Virginia, in 1859. Hill explores mixed race again in Black Berry, Sweet Juice: On Being Black and White in Canada (2001), a memoir and "examination of my own life through the prism of mixed race" that relies also on his conversations with other Canadians of Black and white ancestry. Hill's third novel, The Book of Negroes (2007, released in the United States, Australia, and New Zealand as Someone Knows My Name), won the Commonwealth Writers' Prize, the Rogers Writers' Trust Fiction Prize and the CBC Radio Canada Reads competition. The book follows the life of Aminata Diallo, abducted as a child in Africa and enslaved on a South Carolina indigo plantation. She escapes to serve the British during the American Revolutionary War and in 1783 flees with other Loyalists from New York to Halifax. Disappointed like many settlers who had been promised land and support by the British for their services during the war, Diallo leaves Nova Scotia in 1792 with 1,200 other Black Loyalists to return to Africa. In her old age, she moves from Sierra Leone to London, England, where she writes down the story of her life. In 2009, the novel was issued in an illustrated edition and movie rights were contracted by Conquering Lion Pictures. The Book of Negroes was ultimately made into a six-part miniseries, co-written by Hill and director Clement Virgo and aired on CBC Television in January 2015. In 2011, Hill received an email from a man in the Netherlands announcing that he planned on burning The Book of Negroes. The incident drew international attention. Hill responded with an extended essay, published in book form as Dear Sir, I Intend to Burn Your Book: An Anatomy of a Book Burning (2013), which explores, in the wider historical context of banned books, book burning, and censorship, the motives of those who burned The Book of Negroes. Inspired by the stories of undocumented refugees around the world, Hill’s fourth novel, The Illegal, was published in September 2015. Hill was selected to deliver the 2013 Massey Lectures. Published as Blood: The Stuff of Life, the lectures were delivered in five Canadian cities in the fall of 2013 and subsequently aired on CBC Radio. Blood: The Stuff of Life is a wide-ranging and highly personal meditation on the scientific and social history of blood, how it unites and often divides us, and how it often shapes the way a person’s identity is defined. Lawrence HillThe website for Lawrence Hill. Offers synopses of The Book of Negroes and other works. THE BOOK OF NEGROESIntroduction to the six-part CBC TV miniseries based on author Lawrence Hill's award-winning novel. Includes cast biographies. The Book of NegroesLawrence Hill discusses the adaption of The Book of Negroes as a movie mini-series in this CBC video clip. THE BOOK OF NEGROESWatch individual episodes of the CBC TV miniseries The Book of Negroes.